LOS ANGELES, CA – With a name that translates to “one that wakes into royalty,” it was destiny that the artist known as King Ajibade would one day reign over a music career that spans the globe. 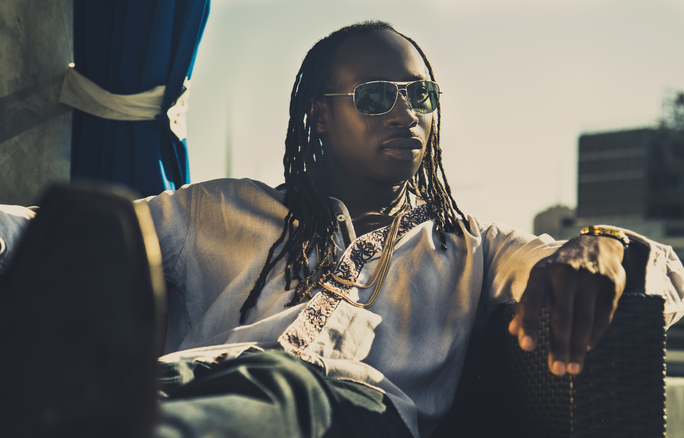 Unlike a lot of other artists out there who hone in on one genre, or who experiment with “global” sounds, King Ajibade perfectly fuses a variety of genres – bridging Caribbean, African, Latin and pop with elements of EDM, reggae and hip-hop. He started his solo career in 2011 with the single “Waiting for You” under his own label, 26th Element Records. The single was followed by the “Bad Boy In Disguise” EP in 2014, which he said set the foundation for this newest EP. The first two singles off the EP have already been making waves among fans. The first is a single called “Excuse Me Lady.” It’s also a dance and club song, with lyrics that describe a guy trying to get to know a girl in a club. It’s a song that many guys will be able to relate to, and many women will enjoy, as well. The second, “Island Girl,” has a definitive Caribbean flare with some notes of reggae and pop mixed in. It has a catchy hook that fans won’t be able to ignore. It makes for a perfect song to have playing at a party or to groove to at a club or while hanging out with friends. King Ajibade said many of the lyrics for his songs are pulled from his own life experiences, or simply vibing off of whatever inspires him at the time. He said he likes the music to come to him organically rather than to force it. “When you can do the whole song in your head before you produce it … that’s cool,” he said. Through all of his lyrics and music, he hopes to pass along one simple message to anyone who hears him: have fun! Fans who want to sample King Ajibade’s music can check out his website at kingajibade.com, or visit his Soundcloud and YouTube pages. Fans can also follow him on Facebook, Twitter and Instagram for more updates about future music releases or live performances.